Make your own great slushies easily at home. Water, Cane Sugar, Corn Syrup, Flavour Extracts, Vegetable Gums (412), Colour (varies between variants), Preservative for food safety (202, 211). Shake well before use. 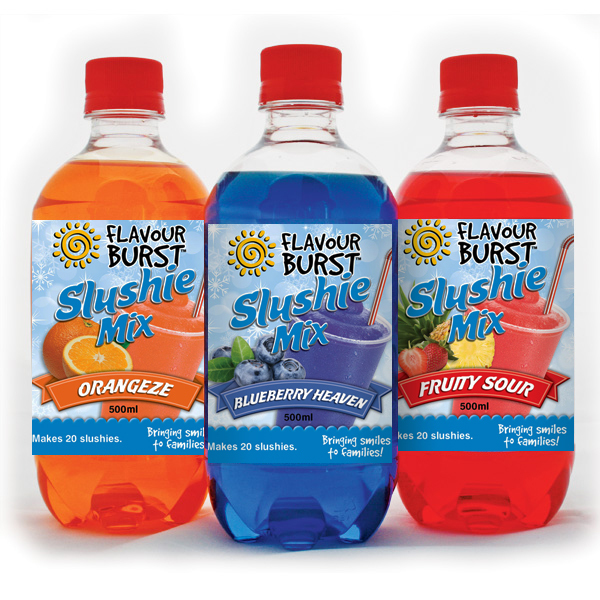 Mix contents with 1 litre of water in a container or slushie maker and freeze.